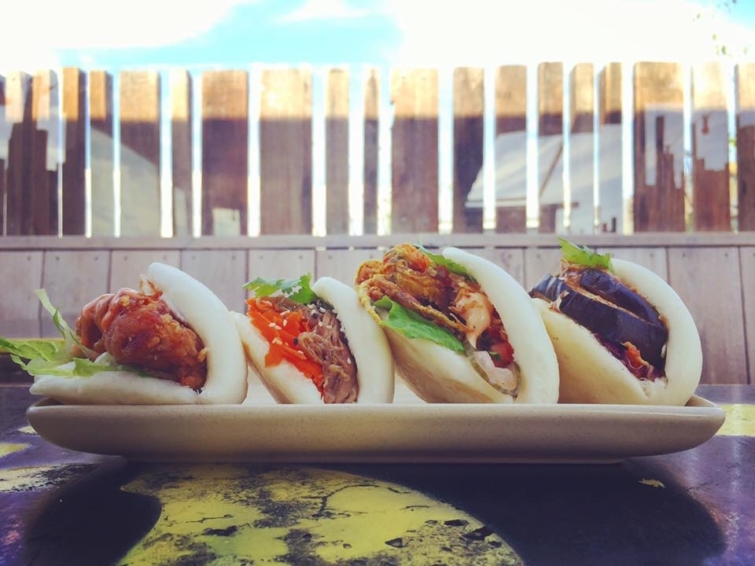 Planning to head over to the Night Noodle Markets, but not sure where to start? With so many delicious dishes to choose from, we don’t blame you! It can be pretty pho-verwhelming. 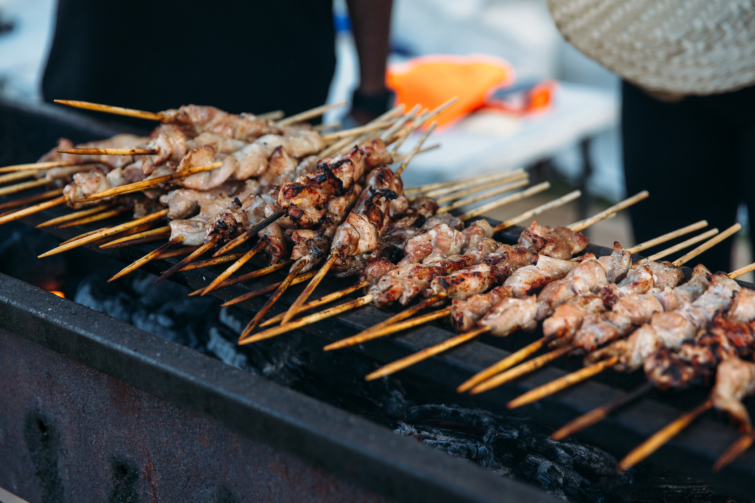 Here’s a little foodspiration to get you started – read on to discover our top five favourite dishes that we’ll be munching on at the Markets. 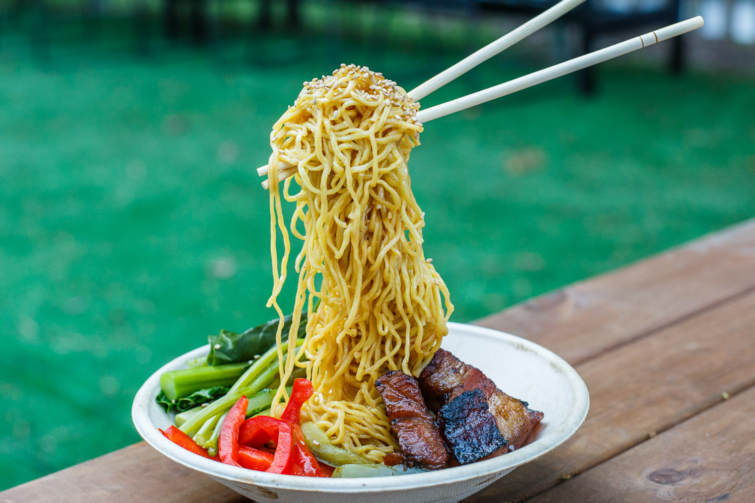 We‘ve just got to kick off with a noodle dish – after all, we are talking about the Night Noodle Markets here. Now, to quote Lenny Kravitz – we wish that we could fly, into the sky, so very high just like a dragonfly… But we can’t, so the next best thing is to tuck into a warm, delicious bowl of noodles that can fly. The Way of the Dragon from Flying Noodles will take your taste buds up, up and away. Think drool-worthy, slow grilled pork belly with honey soy sauce, black pepper, garlic, tamarind paste and stacks of veggies. Not only will you be mystified by the fact that these noodles actually defy gravity, but you will be so swept off your feet by the flavours packed into the bowl that you might even feel weightless, and that’s just about as good as flying, right?! What do you get when you drain the broth away from a flavoursome bowl of pho and lay the remaining ingredients out on a dreamy, soft tortilla? Well, foodie friends, you get a Phoritto. 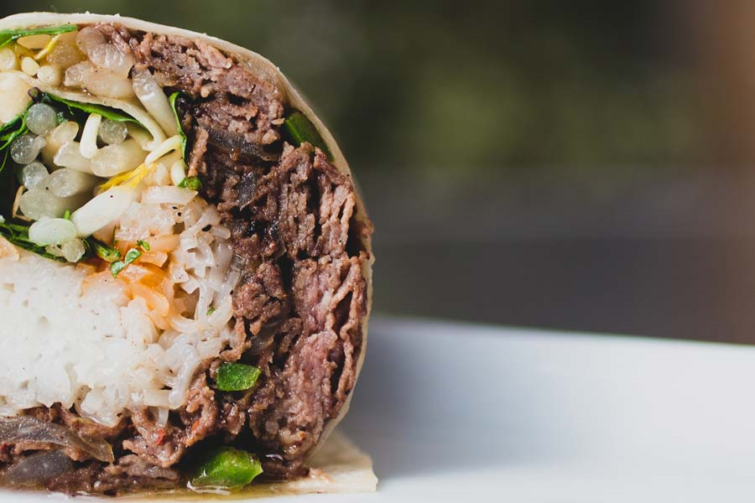 The ultimate fusion of Mexican and Asian cuisines – a menu item where two become one. Take one bite of this ridiculously delicious pocket full-of-punch and it will leave you with lingering flavours that really are un-pho-gettable. So head on over to the Little Kyoto stall at the Night Noodle Markets and get in line behind us, ‘cause we’re getting that pho sure. Is it wrong to quote two lyrical geniuses in the one article? We’re going to risk it anyway. A wise rapper by the name of Lil Bow Wow once said “bow wow wow, yippee yo, yippee yay”. He sounded pretty impressed with himself – and that just about sums up how we feel about Bao Wow’s Coca Cola Sticky Piggy Bao at the Perth Night Noodle Markets. A fluffy, soft-as-a-cloud piece of steamed dough is layered with 12 hour braised pork shoulder, carrot relish and hoisin sauce. It’s impressive, it’s delicious and it’s a must-have menu item for your trip to the Markets. Sometimes in life, you’ve got to stick up for what you believe in. Want to know what we believe in? Food on a stick. 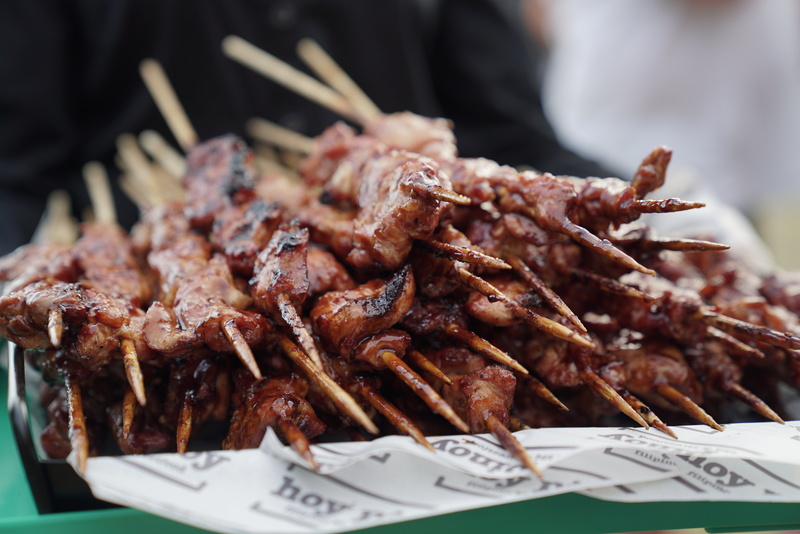 More specifically, smokey, saucey, flame-grilled pieces of meat on a stick – and that’s exactly what you’ll get from Hoy Pinoy at the Perth Night Noodle Markets. There are a few different meat and sauce options to try, but our favourite has to be the Chicken Adobo. Juicy chicken pieces are smothered in a garlic pepper soy sauce, pierced with a stick and barbecued to perfection over hot coals. They’re soy, soy good – in fact, we believe they’re the best darned skewers you’ll find on this here planet. Ok, so we’re being a little cheeky here and squeezing in two of our favourite flavoured Puffles from Poklol x Puffle. Now, if you haven’t heard of a Puffle in this life, or a previous one, you must be (or must have been) living under a rock. Puffles are Insta-worthy, waffle-like, puffy pockets of goodness layered with ingredients that smack you square across the face with flavour. The Cheeseburger Puffle is packed with a bulgogi beef patty, melted cheese, pickles and drizzled with kewpie mayo, mustard and ketchup. Try one and you’ll never settle for a regular cheeseburger again. If you’re of the vegetarian persuasion, however, you might opt for the Vegetarian puffle. It’s the same heavenly, puffy, waffle pocket, but stuffed full of veggies – only the good ones, we promise. 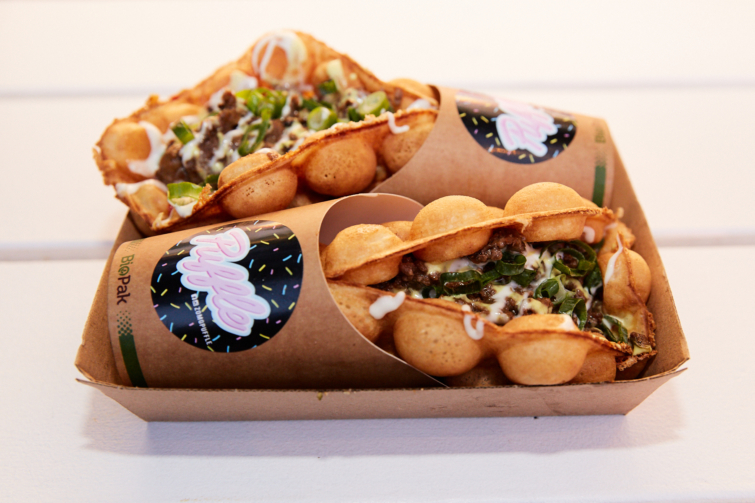 And that rounds out our five (plus) top dishes to try at the Perth Night Noodle Markets. You can also check out the full list of menus for the Markets here and remember, the markets will be on every night at Elizabeth Quay from April 5 – 14. Entry is free, dogs are welcome and it’s a cashless event, so be sure to bring your cards for all purchases.